While we spend our days at Emirates NBD trying to make our customers’ lives easier, marketing is becoming anything but. Caught between revenues that are hard to find, elusive budgets and ever more demanding customer expectations, the rules of the game refuse to sit still. Furthermore, brands are competing harder than ever to be heard, understood and loved by their audiences. This is perhaps no truer than for financial brands, for whom a good day of building brand affinity is nothing short of an uphill struggle. Imagine then, the challenge that Emirates NBD faced when it entered the market amidst the industry turbulence of 2009. Where the marketing norm would call for a brand that speaks to the heart at launch, we took a different tack and still hold to the decision eight years later. We believe the best approach to building sustainable emotional connections with customers is achieved via the transactions they have with us. It’s this thinking that continues to drive Emirates NBD’s approach to building brand experiences. Rather than rely on contentious ads that tell people what we want them to think or feel about us, we focus on showing people what we offer, and ultimately let them make up their own minds. From channelling our efforts into initiatives like creating the largest network of partner brands, or developing the most intuitive mobile banking app, it challenges us to make sure the business delivers the most innovative experiences possible. 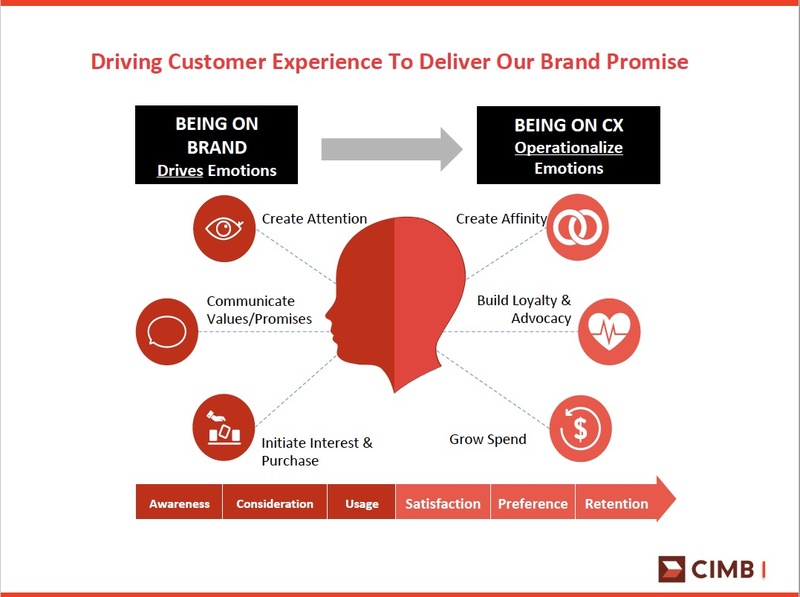 Adopting this approach also makes listening to customers more important, and that’s why digital and social channels play a major role in the experiences we deliver. We use them to actively encourage feedback, listen to it, and constantly work on new ways of making things better, such as introducing ministatements through Twitter, or providing educational videos to help people get the most out of their online services. While brands spend millions on ads that hope to build a perception of size or status, in such a connected and transparent digital world, we believe that there’s never been a more relevant time to ensure that the experiences we deliver do the talking over anything else.